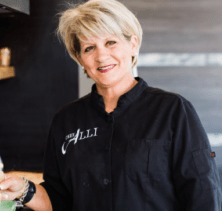 Chef Alli: Cooking Coach - Let’s Get You Cookin’! Do you cook your bacon in the oven? Crispy Bacon Right In Your Oven is the best-ever method for enjoying the most beautiful, flat and wonderful bacon in the history of the world!